Whilst your child is with us, we shall do all we can to develop his/her full potential and ensure that school is a caring, happy place which is full of interest and Gospel inspired. Information taken from St Vincent's Catholic Primary School website . 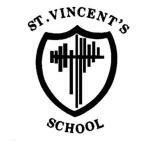 St Vincent’s Catholic Primary School is a 1 ½ form entry primary school, catering for pupils aged 4-11 with a broad range of needs. We are at the heart of our local community and are one of two schools that serve the Parish of St. Joseph’s. The accessible changing area has a walk-in shower. In this section please include details of how specific staff identify needs and how they work with families and organisations to meet those needs. The class teacher usually raises the initial concern with the SENCo. This may be based on a range of criteria such as lack of adequate progress over a time period, or poor performance in class. A meeting is arranged with the parents/carers and an Individual Education Plan (IEP) is negotiated. If progress is not made against the IEP targets, advice is often sought from other outside agencies and the child withdrawn for individual or small group work if appropriate. Parents are fully informed throughout. Parents/carers know their child better than anyone and any concerns they have will be taken seriously by the school. It is preferable to make an appointment to see the child’s class teacher initially and discuss the issue with them. The class teacher will then pass on the information to the SENCo who will support and advise the child’s teacher about teaching strategies and any further action. Expectation is to describe the responsibilities of the SENCo, College Learning Support Manager or Key Person and the processes they undertake to support a child or young person. Support roles and titles often vary between settings so please explain how it works in your setting. The class teacher is always the first point of contact to discuss your child’s needs. The SENCo can also be consulted to provide extra advice and support where necessary, or to be involved in any target reviews. If a child needs an IEP this will be drawn up in consultation with parents/carers, and SENCo if necessary, and clear review arrangements are explained at the time. Allocation of support is done on a priority of needs basis and overseen by the Head teacher and SENCo. Expectation is to include Individual Education Plan, Development Progress System, Learning Journal and Observation, Assessment and Planning processes. If you plan and deliver an individualised curriculum please explain how you do this. The curriculum is planned over a two year cycle, apart from Maths which is progressive. The teachers plan and deliver work which is appropriate for the children in their class. This is often done through differentiation, delivering a personalised curriculum where necessary. Pupils are consulted using pupil voice to discuss what their interests are and the way that they learn best. For children who have an Individual Education Plan targets are set to enable them to make progress and they are aware of what they are and what they need to do to achieve them. Expectation is to include details of how regular and productive contact is maintained with family carer’s and young people. Parents/carers are kept informed regularly about their child’s progress. There are two Parent - Teacher Consultation evenings each year, one of which will include discussion about Individual Education Plan (IEP) targets. IEPs are reviewed with class teachers at least once per term. Children with Statements, Education, Health and Care plans or those with identified long term medical issues will have an Annual Review meeting to discuss progress over a longer period of time. Induction meetings are held at the beginning of each academic year where age related expectations are shared with parents and ways of how to support them with their learning. Non negotiables for expectations of learning are shared with parents at the Parent Teacher meetings and clear guidelines set for each child. Each phase team has a weekly blog which is updated to share info about what children are covering in the next school week. Curriculum workshops are offered to share information and support parents about particular subjects and how to help their child at home. We have a drop in sessions every Wednesday after school where parents/carers can discuss any immediate issues or concerns they may have with their child’s teacher without needing an appointment. If a longer time is needed teachers will be available if you make an appointment. This is also the case if you need to meet with the Head Teacher, SENCo and class teacher together. Schools follows the SEAL curriculum and where necessary we will allocate learning mentors in negotiation with the SENCo where we feel it will have impact on your child’s needs. Other small group support may be offered, again in negotiation with the SENCo. School liaise with health care professionals and request advice where appropriate. A referral may be made to a Complex Case Panel, which involves multi agency representation, for any child has a need that requires further investigation. We have a quota of fully qualified first aiders and paediatric trained staff who will administer prescribed medication with written consent. Where necessary, we arrange staff training for all staff including governors for exceptional issues, usually from outside agencies involved with the child. The SENCo also provides in house training for more common issues. The SENCo has a specialist qualification in dyslexia teaching and assessment- AMBDA (Associate Member of the British Dyslexia Association). We have a teaching assistant who has completed training in Language Links which enables her to screen, assess and offer small group support for those children who have basic language difficulties. We have a teaching assistant who has been trained to care for a child who may have a tracheostomy in place. Staff at St Vincent's have training and run groups to support the children with SEND. Circle of Friends which is a group for children with social and communication difficulties. Better Talking Partners which is a group for children who may have barriers with speaking. Staff have had basic training in Dyslexia Friendly approaches to teaching. Staff and Governors have had training in Thinking Together which is a program used to develop speaking and listening skills in primary aged children. The SENCo will do in house training whenever issues arise. Staff will be having updated training on Behaviour Management strategies in the Autumn term of 2014. Staff will be having training on how to support children with ASD from the ASD Support Nurse. Children with SEN are fully included in all activities, including After School clubs, educational trips and residentials. Parents/carers are always consulted about how we can support their child to access, be included and enjoy the activity and if necessary in completing a risk assessment. If needed, extra staff will accompany the child on the activity support them as they attend. The school is fully wheelchair accessible. We also have two disabled toilets, one of which also has a walk in shower. Where children have vision difficulties we seek advice or equipment from the Visual Impairment specialist support team. The same is the case for those pupils with hearing difficulties where we seek advice from the Hearing Impaired service. We seek support from target language speakers from the family of Warrington schools to assist in communicating with parents and carers whose first language is not English. We also offer translation of end of year reports into target language when requested. Where recommendations are made through outside agencies we aim to provide resources through school budget where appropriate. All children have a transition regardless of whether they have additional needs. Those children who are more vulnerable will have additional support through any transition process in school. This may include extra visits prior to beginning each change of setting, taking photographs of the new setting for the child to become familiar beforehand, transition meetings with staff from each setting so they are fully aware of the child’s needs. We will always communicate with parents/carers where a transition is between key stages or different schools. All staff hold transition meetings with the current and next teacher to facilitate an effective and smooth transition. The school’s SEN resource budget is allocated on a priority needs basis in line with best practice. Whilst we do not have a separate SEN budget, the school’s overall expenditure funds additional staffing and resources such as laptops and software where needed. Where a child is in receipt of a Statement or Education, Health and Care Plan, these clearly set out the type and amount of support which should be made available for that child. Decisions about support arrangements will be done in consultation with parents. The Head teacher and Governing body allocate funding on a priority of needs basis. Children’s progress is tracked each term and through IEP review meetings to measure the impact of the support which is currently in place. For those pupils with Statements or Education, Health and Care plans, the main way to measure the impact of support is through the Annual Review process.